KABUL, Afghanistan The Taliban claimed responsibility Friday for killing two American service members in southern Uruzgan province, in what may have been the latest insider attack against Western troops. The so-called insider attacks have stretched to the breaking point a partnership that U.S. and NATO officials consider a key part their exit plan  preparing the Afghans to take over responsibility for their country's security in just over two years' time. They have also cast major doubts over the program, where Afghans and international troops are supposed to work "shoulder to shoulder." In Thursday's shooting, authorities had yet to determine if the attacker was an Afghan police officer or an insurgent who had donned a uniform to get close to the Americans, said Maj. Lori Hodge, a spokeswoman for U.S. forces in Afghanistan. The assailant escaped after killing the service members while they were out on a late morning patrol, she added. to our normal tempo" across the country after temporary restrictions were lifted last month. At least 53 foreign troops have been killed by Afghan forces already this year - 33 of them Americans. Thursday's was the first such attack on NATO forces since September and since the Afghan government launched a large-scale push to re-screen thousands of security forces, trying to identify infiltrators or those who might not be considered secure. On Wednesday, two British service members and an Afghan police officer were killed in an "exchange of gunfire" in Helmand province, the British Ministry of Defense said in a statement. The Afghan officer was not wearing his uniform and the statement said it was not clear who started shooting first. Provincial government spokesman Abdullah Himmat said the assault happened near an Afghan police compound in Khas Uruzgan district. 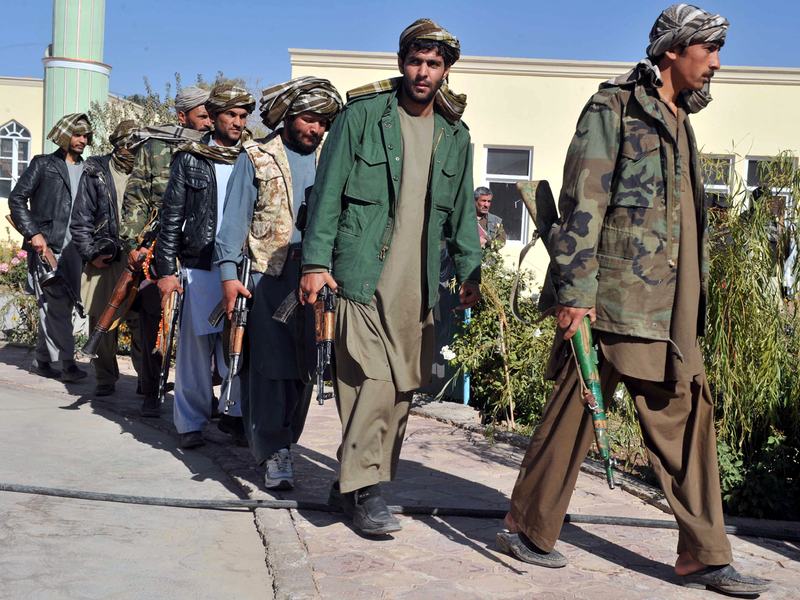 The Taliban have said they are using the attacks as a specific strategy to drive a wedge between the international coalition and the Afghans. On Wednesday, ahead of the Eid al-Adha holiday, they called for a boosting of such assaults. "Increase your efforts to expand the area of infiltration in the ranks of the enemy," Mullah Mohammad Omar urged in a statement. "Jihadist activities inside the circle of the state militias are the most effective stratagem." The majority of international combat troops are scheduled to leave Afghanistan by end-2014, with trainers and advisers expected to remain longer. But the spate of insider attacks has further undermined public support for the 11-year war in NATO countries and increased calls for earlier withdrawals. Also Thursday, an Italian soldier was killed in a firefight in Farah province in the west of the country, the Italian military said in a statement. Three other soldiers were wounded.